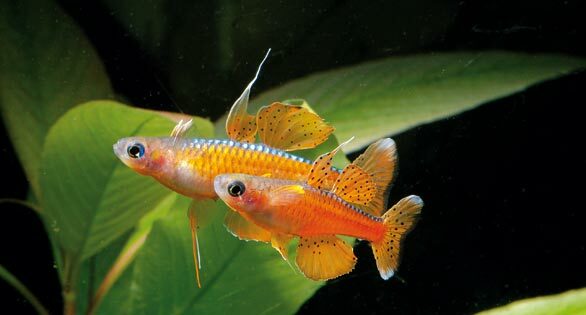 ID these beautiful fish please! Some type or killi I think. Looks like a type of dwarf blue eyed rainbow. Looks similar to Gertrude's blue eyed, but likely a different variant (there are many). Nice link to the Rainbows. Thanks Az. I'm saving that one to my favorites. OS. Bonified member of "The Wet Arm Society". One's life should be measured by the number of people who smile when they remember you. Its a type of Rainbow. Note the separation of the dorsals compared to Killi's. OS. Yeah, I love rainbows. So many beautiful types! I think I found them, "Pseudomugil sp. "Timika"".